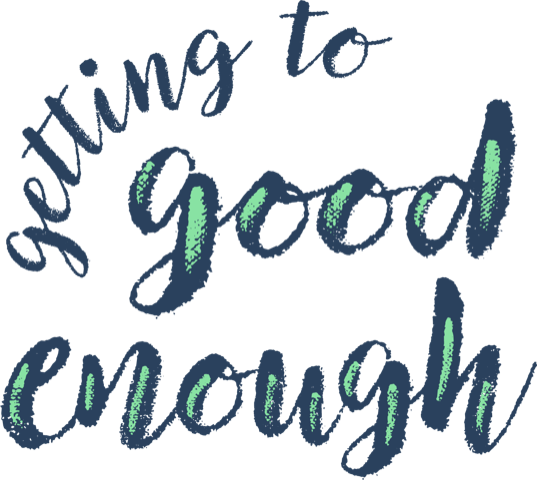 Perfectionism can get in the way of starting or enjoying hobbies. 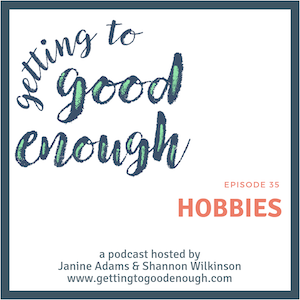 This week Shannon and Janine talk about their hobbies (and attempted hobbies) and share strategies for getting past perfectionism so you can enjoy your hobbies. P.S. During the episode, Shannon asked Janine what she was knitting. The answer, which Janine couldn’t share at the time, was that she was finishing a cat bed for Shannon’s cat, Cleo! 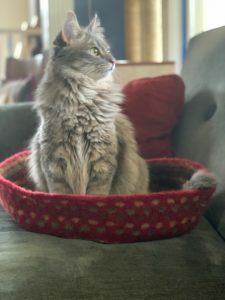 She used the leftover yarn from the afghan and sent it to Shannon and Cleo as a surprise. 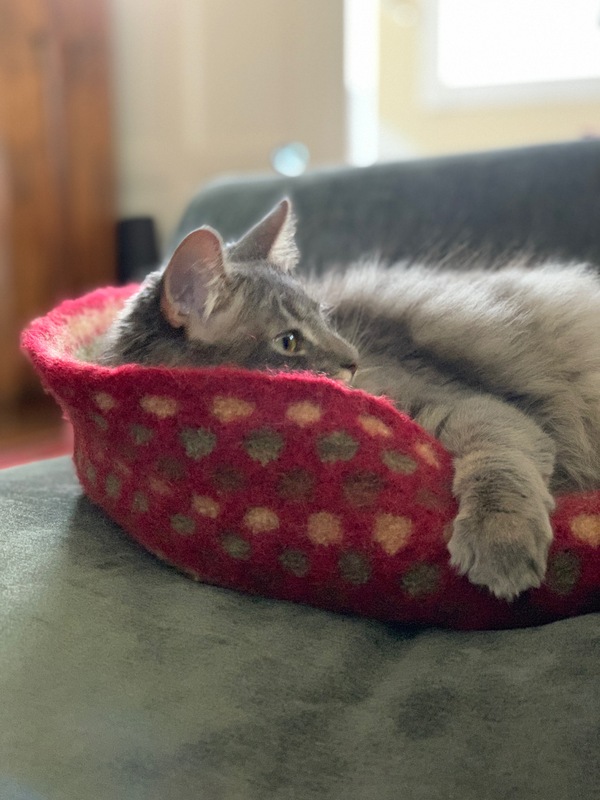 Thankfully, Cleo loves the bed. And we love her. So we just had to share a couple of pictures. I heard a name of a book. Time and Again? I have found different authors. Who wrote the one you mention? It’s called Time and Again, by Jack Finney. I believe it came out in 1970. Great topic, ladies. I have never done (what I consider to be) hobbies, almost assuredly because of some sense of perfectionism. My mom, sister, and I have twice gone to those paint-the-pottery places, and I get low-level anxiety because I cannot make the tangible thing replicate the vision in my head. To me, hobbies have always been things that yield something tangible – knitting, needlework, building models — artsy-craftsy stuff. Everything I participate in is in my head — reading, writing (OK, that involves my fingers, but in theory, I could dictate it), listening to music. These feel less like hobbies than happenings. I was pleased to hear Shannon talking about Duolingo and Memrise, because I’ve spent the last 7 months learning Italian. I went to Italy in September, and wanted to know enough to not feel completely unmoored while there, but have kept it up, and I like it for all the reasons Shannon describes. (But Shannon, did you know that you can (repeatedly) get a one-day “pass” without losing your streak? I don’t know where you see it on the app, but in your browser, click on your “lingots” and turn on “Streak Freeze.” You spend 10 lingots each time you miss a day, but it’s great for those times you are falling asleep and realize you missed a day of Duolingo! Julie, it’s Janine. The idea of going to one of those painting places makes me want to run in the opposite direction (because my skill at drawing is so low). I think what I love about hobbies where you create tangible things is that you can see the improvement before your very eyes. Mille grazie for listening and commenting!